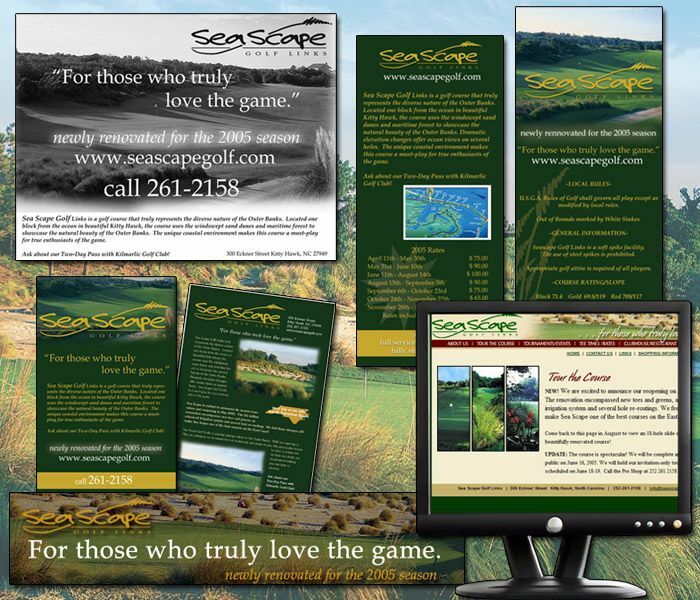 Seascape Golf Links already had a logo when we started working on their marketing materials, but we were able to take their current logo, color scheme and style and run with it to produce ads, rack cards and finally a website for an overall professional presentation. 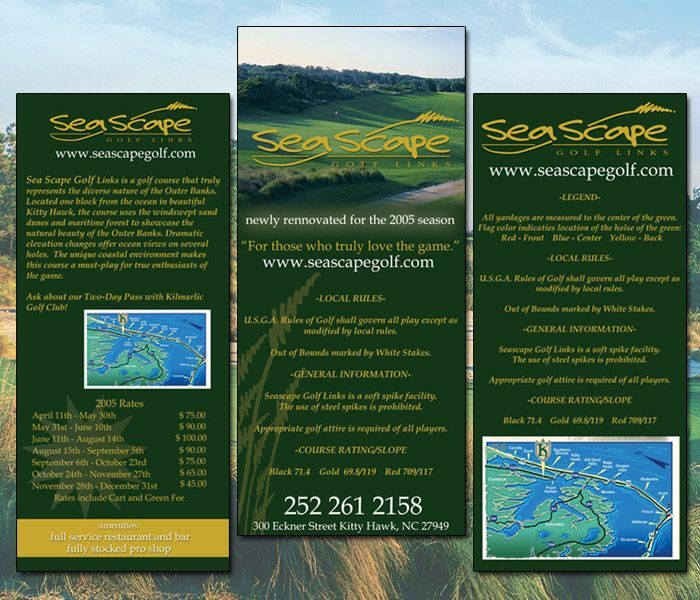 Notice the same colors are used throughout all of the pieces. The final touches of using the sea oat in their logo as a design elements helps to bring it all together.